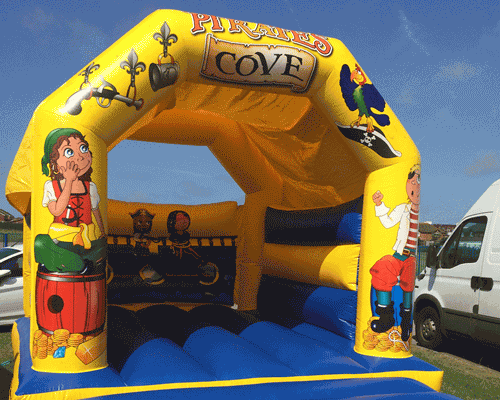 The pirate themed 11 x 15ft bouncy castle is that little bit taller perfect for all ages of children. 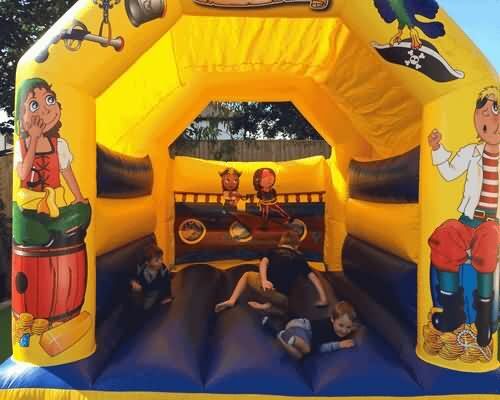 The pirate theme is great that extra WOW Factor boys of all ages will love it. 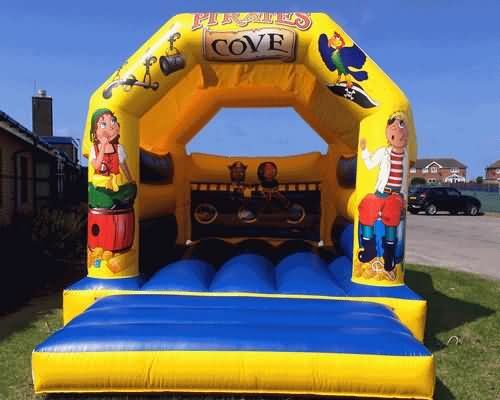 Let your children go on a pirate adventure of their own, it's a brand new bouncy castle only purchased in mid July 2015 and lovingly maintained since then. 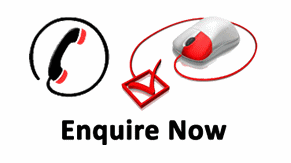 The artwork is stunning making it look much more appealing. 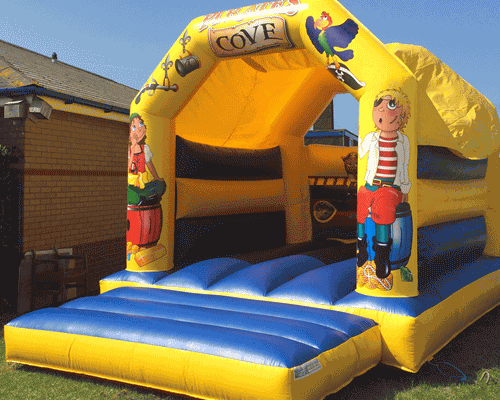 Featuring a large step at the front it is also safer for younger children to stop them accidentally bouncing out onto a harder floor and a rain cover for if the weather gets a bit stormy!